Cardiff and Vale University Health Board is one of the 44 public bodies in Wales that is bound by the Well-being of Future Generations Act. The Well-being of Future Generations Act requires public bodies in Wales to think about the long-term impact of their decisions, to work better with people, communities and each other, and to prevent persistent problems such as poverty, health inequalities and climate change. 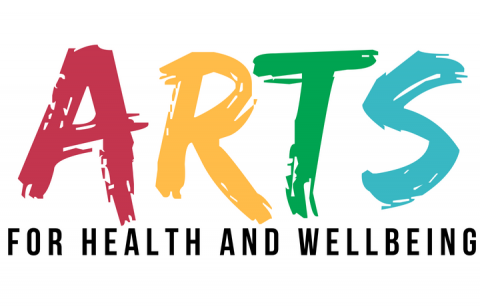 With this diverse and ambitious arts programme, Cardiff and Vale University Health Board is applying the 5 ways of working, as stipulated in the Act, to achieve this goal. The Act is unique to Wales attracting interest from countries across the world as it offers a huge opportunity to make a long-lasting, positive change to current and future generations. The Act has seven interconnected well-being goals which we work towards, one of which is “A Wales of Vibrant Culture and Thriving Welsh Language”. Welsh Government define this as a society that promotes and protects culture, heritage and the Welsh language, and which encourages people to participate in the arts, sports and recreation. To do this, we’re working collaboratively with the Cardiff & Vale Health Charity and in an integrated way with other partner organisations, we’re involving patients, staff and the wider community, we are considering the long-term impact of the decisions we take in installing art projects and improving our environments for future users, and the benefits of the arts are aiding in the prevention of negative states of well-being. If you’d like to know more about Cardiff and Vale UHB’s involvement in the Well-being of Future Generations Act, please click here.